Description: An original acrylic painting by Kalpana Soanes, Created on slim canvas. Painted sides, ready to hang, no need for a frame. 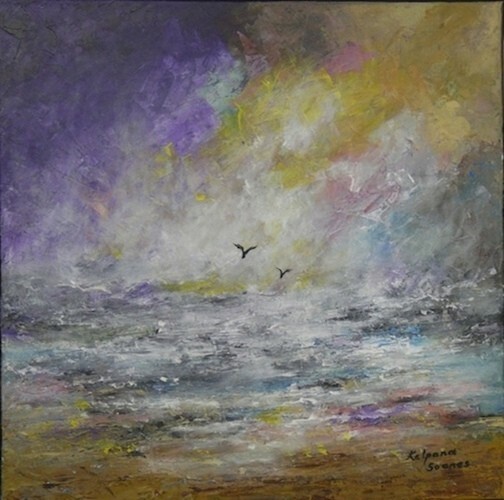 A vibrant seascape with two birds flying together. Kindred Spirits.